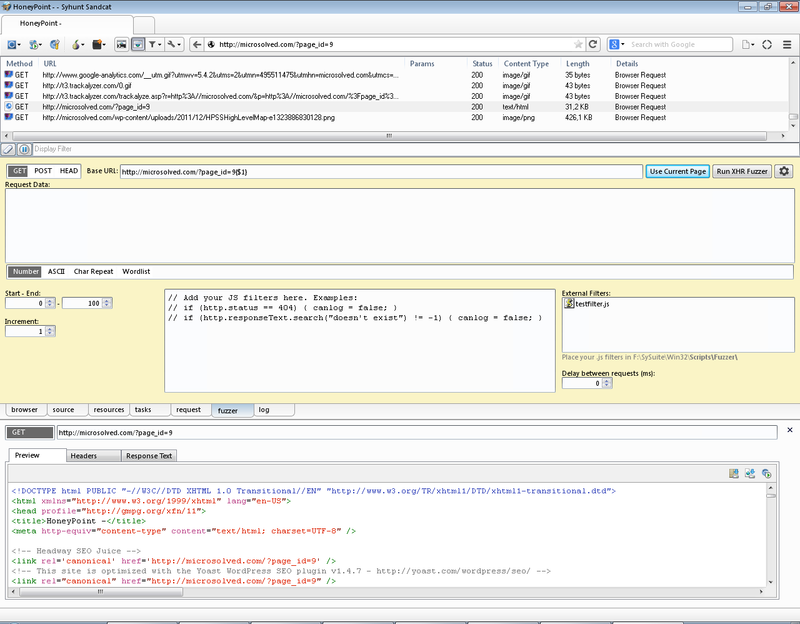 Sandcat Browser 4 brings unique features that are useful for pen-testers and web developers. Sandcat is built on top of Chromium, the same engine that powers the Google Chrome browser, and uses the Lua programming language to provide extensions and scripting support. Page Menu extensions — allows you to view details about a page and more. Pen-Tester Tools — Sandcat comes with a multitude of pen-test oriented extensions. This includes a Fuzzer, a Script Runner, HTTP & XHR Editors, Request Loader, Request Replay capabilities and more. Request Viewer — allows you to view details about a request or replay a request. Filter Evasion (MySQL-Specific) – String Concatenation, Percent Obfuscation & Integer Representation (eg: ’26′ becomes ‘ceil(pi()*pi())*(!! !pi()+true)+ceil(@@version)’, a technique presented by Johannes Dahse). Various handy alert statements for testing for XSS vulnerabilities. Hex Encoder/Decoder – Converts a string or integer to hexadecimal or vice-versa (multiple output formats supported). CharCode Converter – Converts a string to charcodes (eg: ‘abc’ becomes ’97,98,99′) or vice-versa. IP Obfuscator – Converts an IP to dword, hex or octal. CRC Calculators – CRC16, CRC32, CRC32b, and more. Useful Strings – Math, character sets and more.